DUBAI – Family-owned Italian chocolate company Ferrero has said that 33 of its products and 19 of its plants are already halal-certified, a number that is set to grow. “We have only few factories that are not certified. In two or three years all our factories will be halal,” Moutaz Abdullat, General Legal Counsel of Ferrero Gulf Countries told Salaam Gateway. Ferrero operates 25 plants, according to its most recent available annual report. 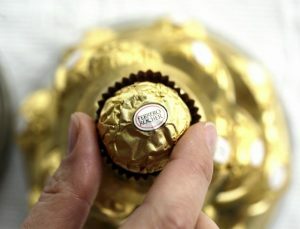 This is the first time the maker of Ferrero Rocher, Nutella, Kinder, Tic Tac and Ferrero Pralines has made public its halal credentials despite starting on the halal track around a decade ago.